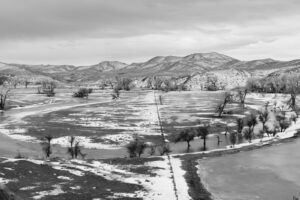 Michael P. Berman wanders the terrain of the American West and Mexico Norteno, and more recently, the extensive grasslands of Mongolia. 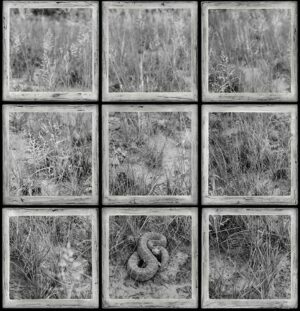 To his art Berman brings an awareness of the complexity of the biological world; to the political and social dialogue of the West he brings his art as a catalyst to renew and heighten our perception of the land. He works on the things – mining, grazing, wilderness, timber, water, growth and the border – that impact the land. 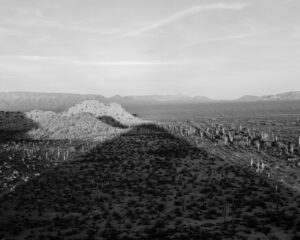 Mr. Berman’s classically executed black and white photographs participate in and extend the tradition of western landscape photography. After completing a series of photographs he cuts up the negatives and prints and uses them as the basic medium for installations and paintings. 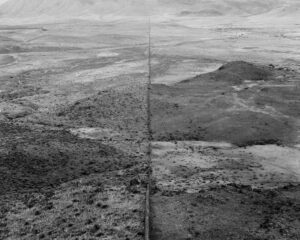 Michael P. Berman was awarded a Guggenheim Fellowship in 2008 to photograph the remnant grasslands of the Chihuahuan Desert. His photographs are included in the collections of the Metropolitan Museum of Art, the Amon Carter Museum and the Museum of New Mexico. In 2013, he received the Governor’s Award for Excellence in the Arts in New Mexico and has also been a recipient of Painting Fellowships from the Arizona Commission on the Arts and the Wurlitzer Foundation; his installations, photographs, and paintings have been reviewed in Art in America, and exhibited throughout the country. Berman’s work has been published in several books including Gila: Radical Visions; The Enduring Silence and the first and third books of a border trilogy with writer Charles Bowden, Inferno and Trinity. 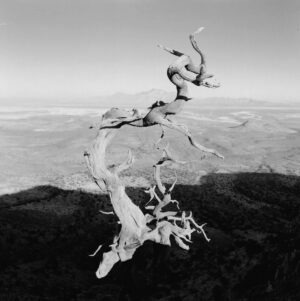 Mr. Berman was born in New York City in 1956, and went west to Colorado College where he studied biology and worked with peregrine falcons before embracing his photographic exploration of the land. He lives in Southwestern New Mexico in the Mimbres Valley, and is a founding and current board member of the Gila Resources Information Project. 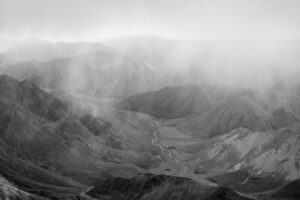 He has received grant support for his photographic and environmental work from the McCune and Lannan Foundation.